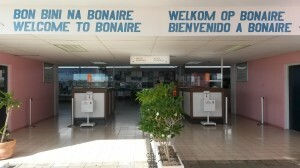 Tourism Corporation Bonaire (TCB) would like to inform that it will discontinue distributing the Bonaire Non-Resident Cards onboard Arke, United and Insel Air. The distribution of the cards started in early 2014. Various approaches were executed to have these cards become obligatory upon entry in Bonaire, but could not be secured due to external factors, such various laws and conditions. In view of this, TCB continued with the distribution of the cards in order to accumulate information for a sample survey. Over the course of a year, more than 15,000 cards were distributed and TCB now has a survey sample size with more detailed information. For the past year, TCB has been using the data provided by the Bonaire International Airport (BIA), for the publication of statistics. However, as indicated TCB could not extrapolate the amount of Tourists from the Total Arrivals. Therefore after internal discussions, TCB has concluded to discontinue the cards as of March 31st, 2015. Thereafter, the statistical information will be handled by the Central Bureau of Statistics (CBS) which has a different methodology. The CBS has published since 2014 the tourism statistics of Bonaire, on a half year basis and for the future statistics will be published quarterly. Therefore the CBS will share and publish all future tourism statistical information with everyone. .
For the future, the CBS in cooperation with TCB will perform an Exit Survey in the departure hall which should provide TCB with a representative sample to better understand our visitors and enhance the quality of our product and marketing efforts. On behalf of TCB we would like to thank everyone for their support and we look forward to have accurate Tourism Statistical Information.